Two people were hospitalised today as a precautionary measure after they came in contact with "white powder" sent to an office within the UK Parliament building. Emergency services were called to the Norman Shaw Building, which hosts some parliamentary offices, "at 12.58 p.m.to reports of a suspicious package at Norman Shaw Buildings, Victoria Embankment, Westminster", a police statement said. "As this is an ongoing investigation, we can't issue more details at the moment, but (I) am very pleased that staff took sensible precautions and followed the correct procedures when the suspicious letter was spotted", she added. "This is further to the two items investigated yesterday, both of which were found to be non-harmful". "Police are investigating the content of the letters to identify any potential links". 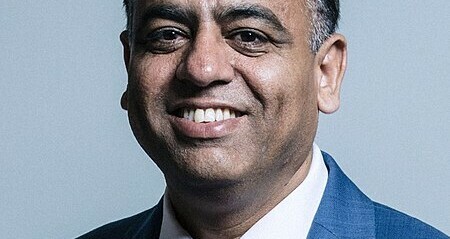 The package was sent to Muslim Labour MP Mohammad Yasin, according to local media reports. London Ambulance Service said they had initially dispatched a hazardous area response team and after assessing two people at the scene, made a decision to take them to hospital. "Specialist officers attended and the package [was] assessed", they said. Several ambulances from the Incident Response Unit are on the scene. A source said they were anxious it was linked to the sick "Punish a Muslim Day" letters which The Sun revealed were being posted out last week.